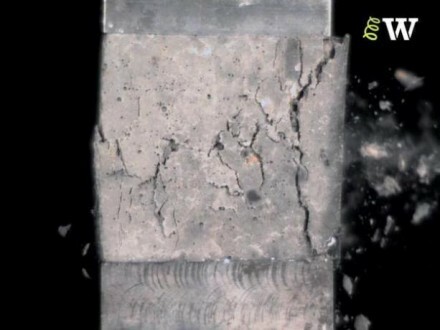 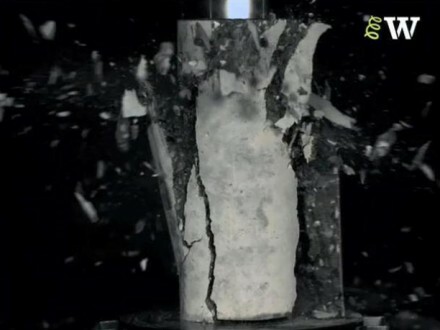 This video shows the behaviour of a high-strength cement cylinder in compression. 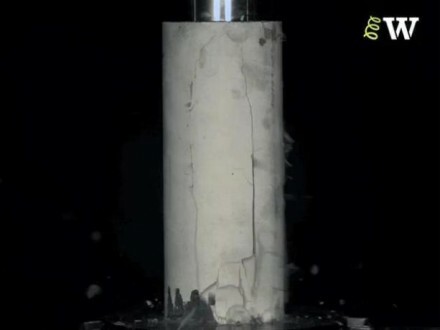 This cylinder is made using grade 52.5 cement. 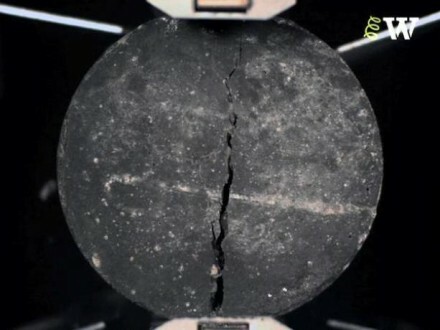 Students can use the information provided in the video to calculate the ultimate strength of this testing sample. 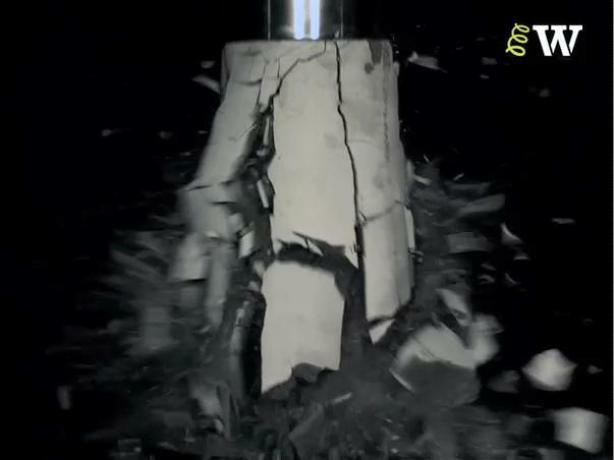 Students should compare the behaviour of this high-strength cement cylinder with the behaviour of a high-strength concrete cylinder. This film shows the Brazilian test, which is designed to measure the tensile strength of concrete.